Founded by the “father of riverboat gaming”, Isle of Capri was a mid-sized regional gaming company with operations in seven states across the United States and in the UK. The customer experience was as diverse as the geography. The company consisted of four brands (Isle of Capri, “the isle.”, Rhythm City and Colorado Central Station). The 2007 introduction of three new “the isle.” properties was expected to give the company a fresh new brand identity and change the face of the company. But there was confusion between the legacy Isle of Capri and the isle., particularly since the community vernacular was to refer to Isle of Capri as the Isle, and in the UK the company was an unknown. Additionally, there was concern that perhaps the Isle of Capri had lost it’s fun. Communications and the experience were not matching up. A new management team put the brakes on further “rebranding” in order to align company objectives with a defined strategy. A key was to match the product offering to the customers and simplifying distinct brands that were matched to a specific business model and aligned based on asset class, market growth potential, and competition. The objectives were clear. The result was a bifurcated challenger brand strategy with restyled customer experiences focused on Experience or Value, but always based on FUN. The focus also allowed us to hone in on specific properties that were “transitional” – limited currently, but with growth potential – as well as identifying properties that were no longer a right fit for the company portfolio but could free up cash and financial leverage. A key characteristic of the company was the utilization of research in each market to determine “GAP” between customers’ needs and the company performance. We formulated several hypotheses and asked 17,000 customers to give us their opinions via an email survey…and they did! Based on the insights from the email surveys we fielded focus group sessions in key markets. Here’s what we heard. Then we showed them the new look of the brand, and for some of them, it was a completely different brand…or one they fondly remembered. Here’s what they said. Then we did more email surveys to confirm the insights from the focus groups. Once our brand approaches were confirmed the agency began to create iconography that would reflect this new experience and this two-brand strategy, the foundation of which were value, low hold in the marketplace, and comfortable environments to play in. It was also important to consistently reflect that these were gaming-centric experiences and that they were always about the best gaming value. FFE that would build a distinctive brand experience such as specially designed table layouts that leveraged graphic element, new venues and redesigned loyalty program. A courtesy program that rewarded employees for bringing the brands to life. More importantly, all employees were brought into the process of this brand evolution as the company had many valued day one employees whose “stamp of approval” was important. 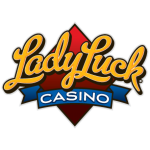 Lady Luck was introduced in Caruthersville, MO – prudent capital spending with impactful value and a true brand statement to customers. Within the first year, rebranded Lady Luck locations generated positive returns (based on FYE 2010 EBITDA compared to average 12-month EBITDA immediately one year before the conversion date). The company subsequently reviewed and realigned the entire portfolio of brands from internal and corporate brands to the loyalty and food and beverage brands, creating the first farm-to-table casino buffet experience.